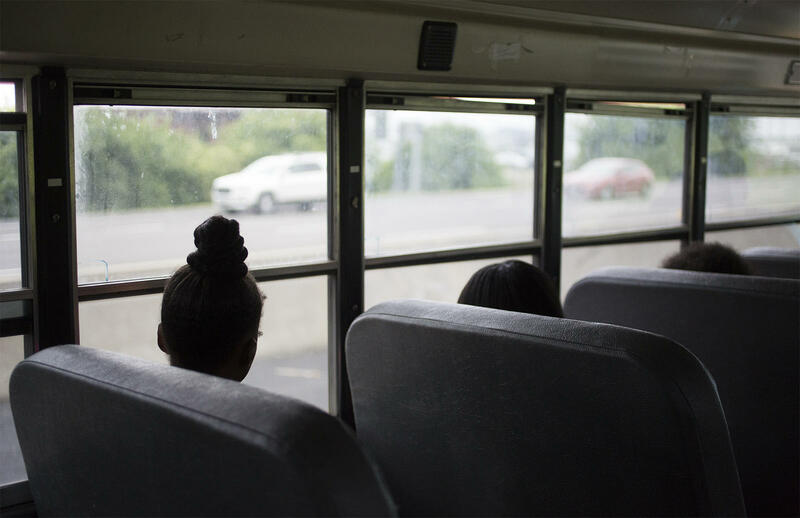 St. Louis city students ride a Voluntary Interdistrict Choice Corporation school bus in May. The Missouri Board of Education released a draft of the state’s Every Student Succeeds Act (ESSA) plan, which spells out what the state will do to comply with the first major education policy overhaul since the beginning of the George W. Bush administration. The metrics look fairly similar to how the state already rates school districts. Chris Neale, the assistant commissioner of the Department of Elementary and Secondary Education, told the board that his agency is more focused on state school improvement guidelines, which he said are the “primary driver” behind how it assesses whether local school districts are doing a good job educating children. Several states, including Illinois, met an optional April deadline to submit their ESSA plans to the U.S. Department of Education. Missouri elected to take more time and meet the final September deadline because of the ongoing revisions of its School Improvement Plan. 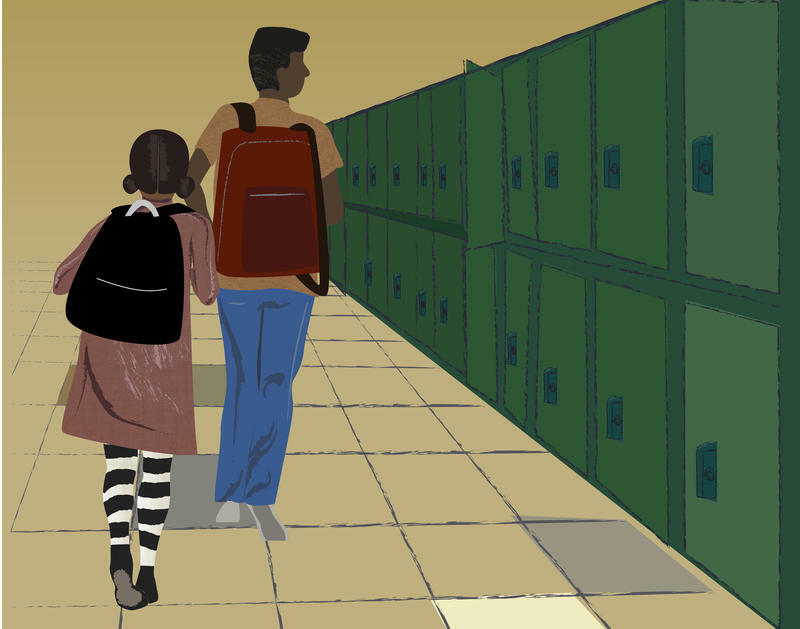 ESSA replaces No Child Left Behind, and returns to states a large chunk of control on deciding how to measure school success and improve struggling schools. It also gives states the flexibility to reduce the emphasis on standardized testing; some have started to include measures like physical fitness and whether kids feel safe in the school. Missouri has used the School Improvement Program to accredit school districts and take over ones that are deemed to be failing. Those include St. Louis Public Schools, Normandy Schools Collaborative and Riverview Gardens School District, which are all currently under state control. Under ESSA, the state will continue to measure test scores, graduation rates and attendance, but those will be sorted by individual school building instead of by district. And there will be more emphasis on English language learning, as required by the federal policy. Low-income school districts that receive federal funds and are at the bottom 5 percent of performance among schools in Missouri will be targeted by the state for improvement, which Neale said will come in the form of additional grants and help from state experts. 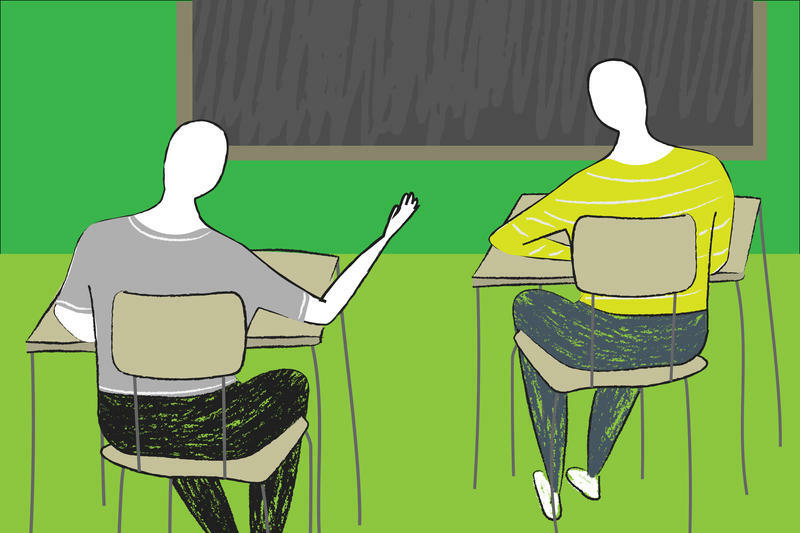 Missouri’s goal in the ESSA plan of cutting by half the number of students who don’t graduate high school aligns with what other states have targeted, according to Abby Potts at the National Association of State Boards of Education. Many of those states will begin paying more attention to student attendance, also referred to as chronic absenteeism, which Missouri has already been doing, Potts said. Illinois’ plan gives more weight to academic growth, which means schools will get more credit for helping students improve. The state will still give standardized tests and track graduation rates, but more emphasis will be put on how much students’ test scores improve from year to year. A public comment period on Missouri’s draft ESSA plan runs through July 15.